YouTube Design – RSQUARE MEDIA INC.
YouTube is the #2 Search Engine after Google and the Most visited video platform on the planet. Its a great forum for brands to have meaningful interaction and engagement with consumers. 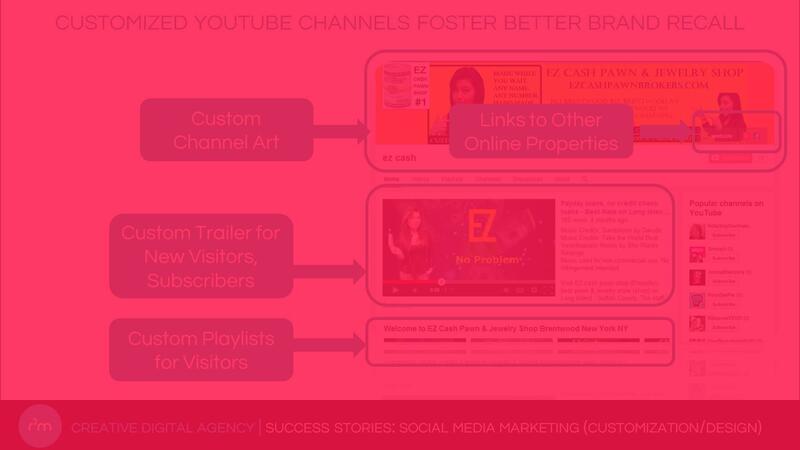 YouTube is a great platform to access any kind of content that is contextually relevant to audiences online – often with a very high level of involvement and affinity with end users. Custom Call to Actions within video like – Poll, Subscribe, Other video thumbnails, etc. Talk to an expert to find out how YouTube can add value to your online marketing and online visibility goals. Call 646-249-3561 or email help@rsquare.media to get started. We’re offering free phone consultations for a limited time.